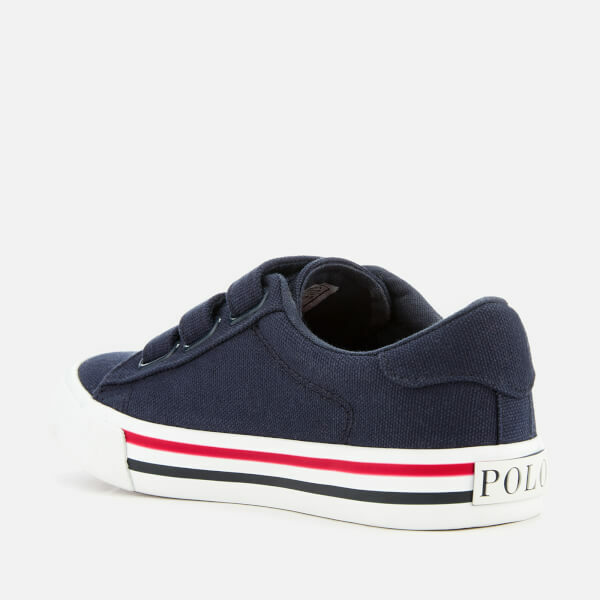 Kids' low top trainers from Polo Ralph Lauren. Crafted from durable cotton canvas, the 'Easten EZ' skate shoes feature a rounded toe, three strap Velcro fastening and a brand-embroidered tongue. 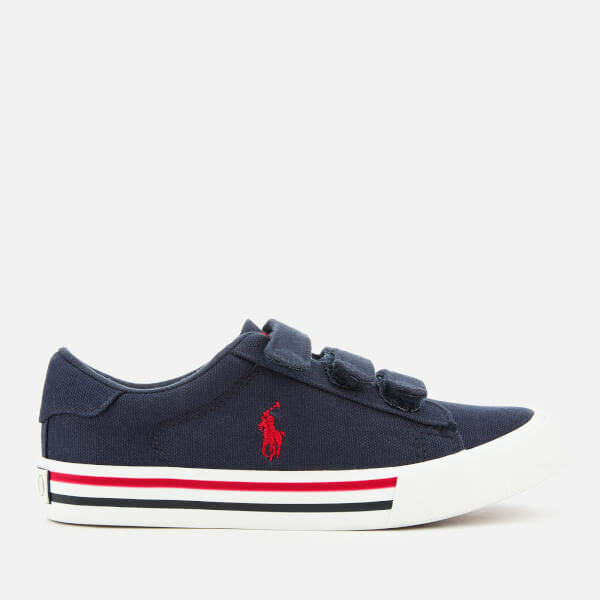 A padded collar enhances comfort at the ankle, while a red, embroidered pony motif to the outside foot adds an authentic stamp. 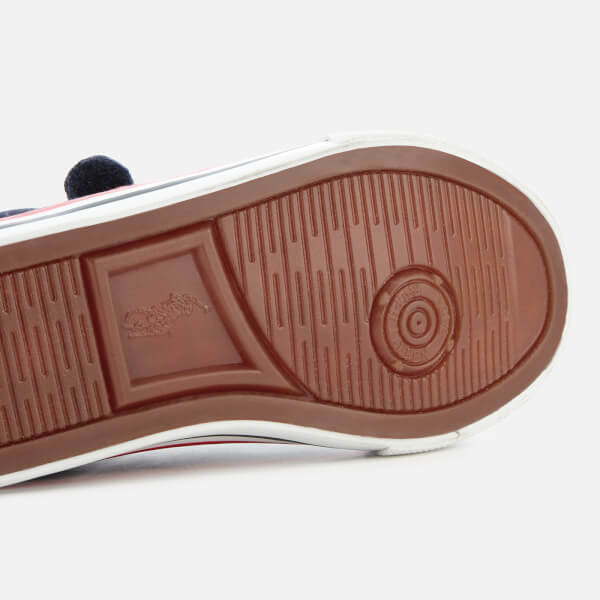 Set upon a durable rubber sole with striped midsole. Further branding to the heel.